In 1991 Uzbekistan emerged as a sovereign country after more than a hundred years of Russian control - first as part of the Russian empire and then as a component of the Soviet Union. 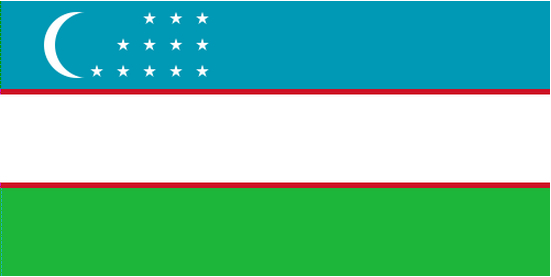 Uzbekistan is the most populous Central Asian country and has the largest sized armed forces. Uzbekistan is ranked number four on the Bisignis Institute's Emerging Market Energy Security Growth Prosperity Index®. Uzbekistan is important to U.S. interests in ensuring stability, prosperity, and security in the broader Central Asian region, and the U.S. has provided security assistance to the country to further these goals. Uzbekistan is a key partner supporting international efforts in Afghanistan, primarily through provision of electricity, development of railroad infrastructure connecting Afghanistan and Uzbekistan, and support to the Northern Distribution Network logistics system serving North Atlantic Treaty Organization soldiers in Afghanistan. Following the September 11th attacks on the United States, Uzbekistan won favor with Washington by providing a military base in Uzbekistan, affording ready access across the Afghan border. Uzbekistan is a major cotton grower. Natural gas is a big attraction globally. Central control of the economy dates back to the Soviet era. Uzbekistan's energy resources and strategic location have led both Russia and the West to seek closer ties. According to official data, Uzbekistan has posted GDP growth of over 8 % per year for many years, driven primarily by state-led investments and an ideal export environment. Uzbekistan suffered less economic trauma from the breaking up of the Soviet Union than did most other former Soviet republics because it generates large amounts of cotton and gold, commodities of value on world markets, and because the government emphasized development of import-replacement industries in the post-Soviet era. In the 1990s, oil and gas production increased significantly, supplying limited exports of natural gas and minimizing the Soviet-era need to import oil. In the same period, the expansion of grain cultivation decreased agricultural imports. Although cotton remains the most valuable agricultural product, cotton output has declined since the mid-1990s. 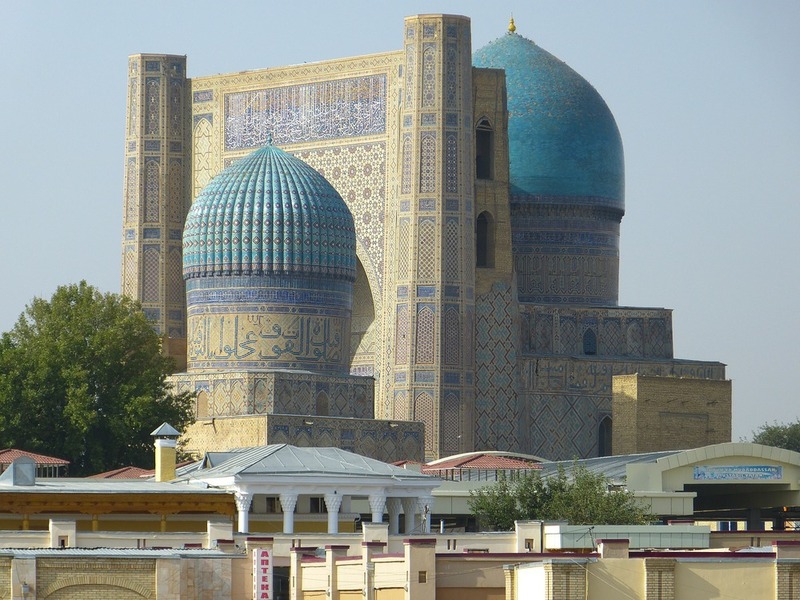 Uzbekistan's economy has retained many components of Soviet economic planning. Economic policy remains under state control; the government has strictly limited foreign direct investment, and little privatization has occurred aside from small enterprises. Several economic models have been tried and rejected in the post-Soviet period, and experts generally conclude that the overall economy is in decline. In the early 2000s, agriculture remained the most important economic sector, but the contribution of industry was advancing. Informal economic activity accounts for between one-third and one-half of output. Export of hydrocarbons, primarily natural gas, provided 18.5 % of foreign exchange earnings in 2011 and 35.1 % in the first nine months of 2012. Other major export earners include gold and cotton. Despite ongoing efforts to diversify crops, Uzbekistani agriculture remains largely centered around cotton, although production has dropped by 35 % since 1991. Uzbekistan is now the world's 5th largest cotton exporter and 6th largest producer. The Uzbekistani Government has actively pursued several major U.S. and international companies, offering attractive financing and tax advantages, and has landed a significant US investment in the automotive industry, including the opening of a powertrain manufacturing center in Tashkent in November 2011. Uzbekistan has seen few effects from the global economic downturn, primarily due to its relative isolation from the global financial markets. LUKoil, Russia's second-largest oil producer, plans to invest around $5 billion in projects in Uzbekistan over the coming 5 years. The privately owned firm has invested $3.2 billion in Uzbekistan's oil and natural gas market since 2004, including $500 million in January-September 2013. LUKoil is currently involved with three projects in Uzbekistan with a cumulative gas production of 20.5 billion cubic meters. The state-owned telecommunications firm, Uzbektelecom, owns the fixed line phone system. 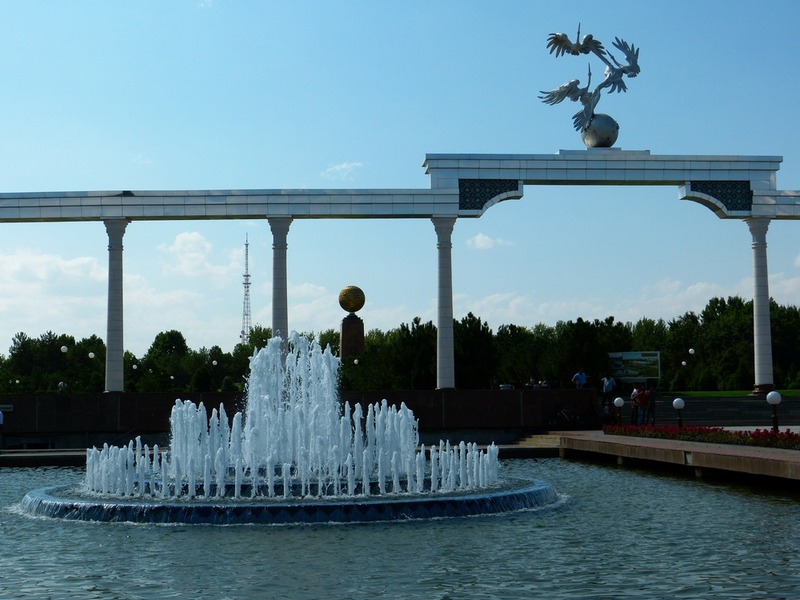 Uzbektelecom has used loans from the Japanese government and the China Development Bank to update fixed-line services including conversion to digital exchanges; mobile-cellular services are proliferating, with the subscriber base reaching 25 million in 2011. Uzbekistan is self-sufficient in natural gas and oil in the near term. Gold is the most plentiful mineral having export value. Significant amounts of copper, lead, silver, tungsten, zinc, and uranium also are present. Nearly all of Uzbekistan's arable land requires intensive irrigation. Water, Uzbekistan's most vital resource, comes mainly from rivers whose sources are in other nations, requiring bilateral contracts with source countries as well as with other user countries downstream. Uzbekistan's persistently poor water and irrigation management has resulted in severe regional tensions and environmental crises.